Note: The small press publisher of the print edition of Never Never Stories went out of business. The ebook edition, however, is still available (see below for details). Spaceships passing through the sky like endless clouds. A woman whose skin reveals the names of sailors fated to die at sea. A virus which causes people who touch each other to turn into crystalline trees. These are only a few of the stories in Jason Sanford's first short story collection, Never Never Stories. 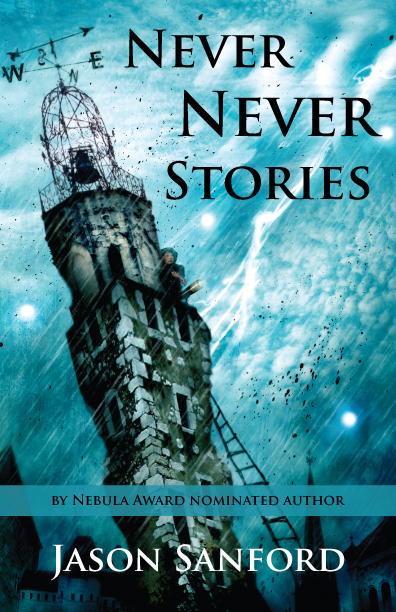 Ranging from science fiction to fantasy, the contained in Never Never Stories have won the Interzone Readers’ Poll, been nominated for the BSFA Award, longlisted for the British Fantasy Award, and printed in numerous magazines and book anthologies including Year's Best SF.